Hi there! 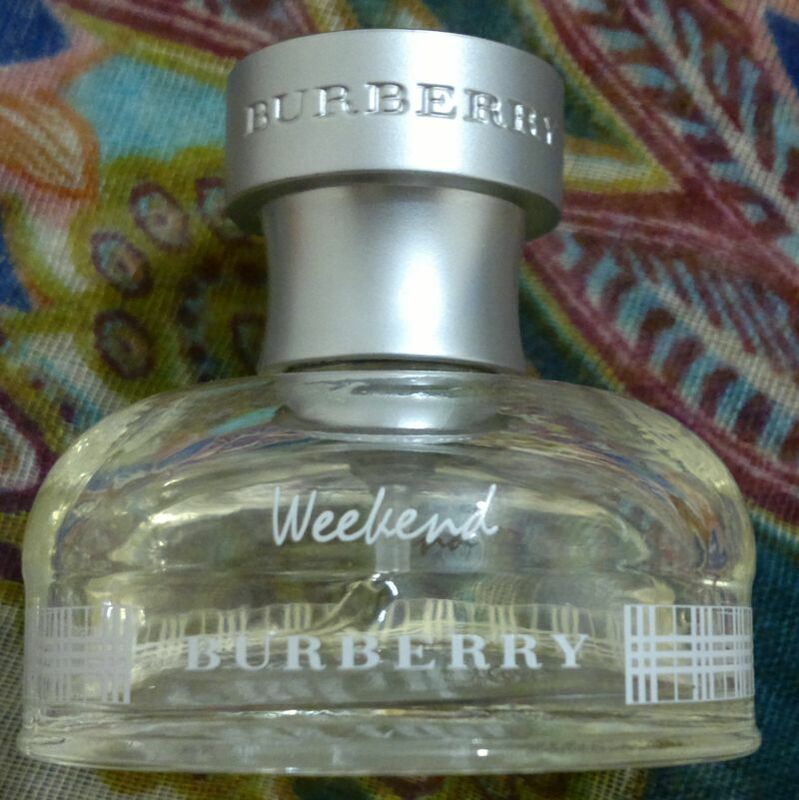 Today’s post is about a fragrance which I know I’ll finish soon – Burberry Weekend For Women. A quick look at Burberry’s web site revealed that Burberry Weekend contains the following notes: tangerine, tree sap and reseda plant (top notes), wild rose, peach blossom, iris, hyacinth and nectarine (heart notes), and cedarwood and sandalwood (base notes). If you read on, I’ll tell you what I think of this fragrance. In any event, I’m glad I only bought the 30ml bottle. And as of today the bottle is about half full. I think I’ll be able to finish this one quickly. It might not be in this month’s empties, maybe not even in next month’s empties (I like warmer fragrances when it’s cold). But this one will be gone by early spring.